The ACJ follows the advanced teaching methods developed in the best journalism education programmes in the world, adapting these methods to specifically Asian conditions and introducing certain innovations. It combines a rigorous academic curriculum with intensive practical training, endeavouring to strike a balance between education (i.e., acquisition of knowledge) and training (i.e., the imparting of professional skills). 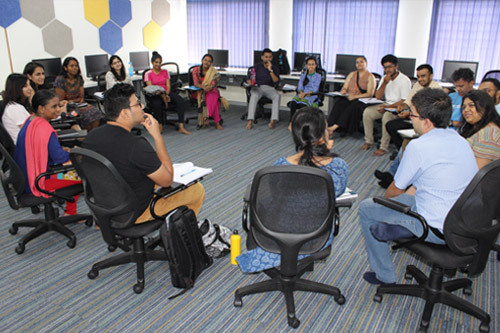 In other words, the ACJ programme seeks to combine the‘how to’ aspect of journalism with a critical and reflective ‘why’ perspective which enables the young journalist to keep up with the demands made by a dynamic work environment and a changing society. English is the medium of instruction at the ACJ and all assignments are to be submitted in English. The ACJ’s one-year programme of postgraduate education in journalism is spread over three trimesters: from July to the following May. It is designed to introduce talented students with a first degree and no prior experience in journalism and/or mid career journalists to the various branches of the media and help them acquire the knowledge, skills, and discernment necessary for ready employment in the profession. To this end, the strongest emphasis is placed on practical journalism. 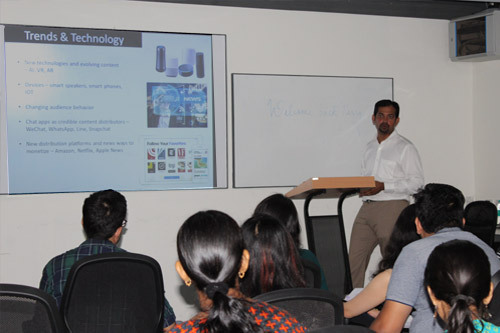 First, through lectures and workshops, students are instructed in the tools and techniques of the journalist. Then they apply what they have learned in the classroom by undertaking, reporting and production assignments. 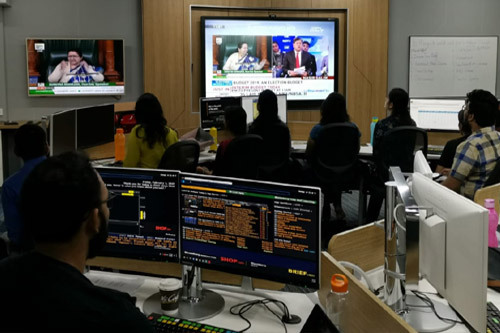 The ACJ – Bloomberg programme lays emphasis on developing the integrated journalist who combine the skill sets of print, broadcast and digital multimedia journalism. The versatile Bloomberg Lab and expertise in using the Bloomberg Terminal ® are the highlights of the programme. economy and the financial and business sectors, particularly in the Indian and Asian contexts, to the history and problems of the media, and to many key issues confronting not only India but also the world. The ACJ has a demanding academic programme. Classes begin early in the morning and continue late into the evening. Assignments are given on a regular basis and must be completed to meet strict deadlines. Homework, including reading and research, is required outside of class hours.